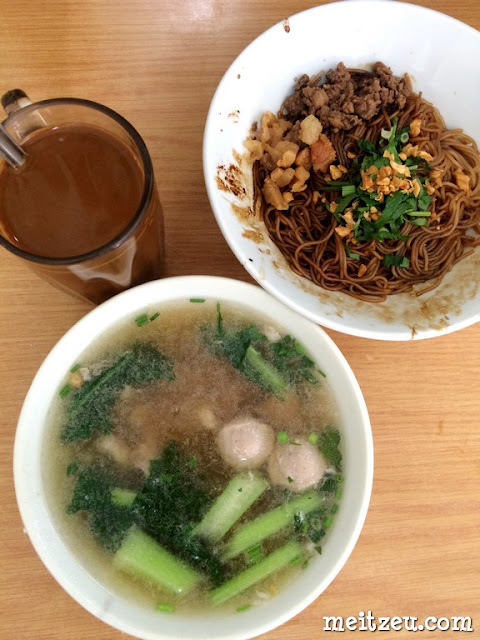 Recently, it's been a while that I have noticed Bundusan Pavilion's area do offers variety of food to eat, from Japanese food, Wine cellar, cafes and local famous eateries. Alex has been telling me about this restaurant which offers foods at reasonable price and providing satisfied portion as well. That's made me went for a try and I have been there twice last month. Kedai Kopi Koki is a restaurant serving non halal food. Alex had Kon Lou Noodles (Sang Nyuk Mian), definitely different flavour as compared to the few famous Sang Nyuk Mian Restaurant. 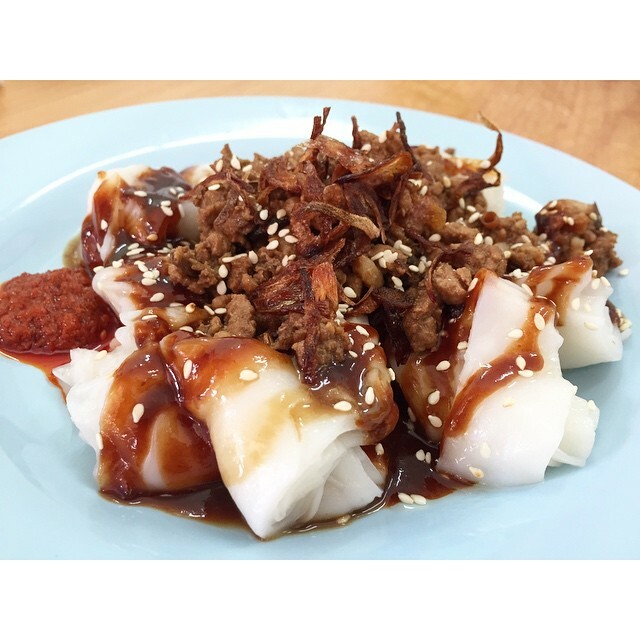 The brown colour sauce is rojak sauce which taste the same like the one from Penang. 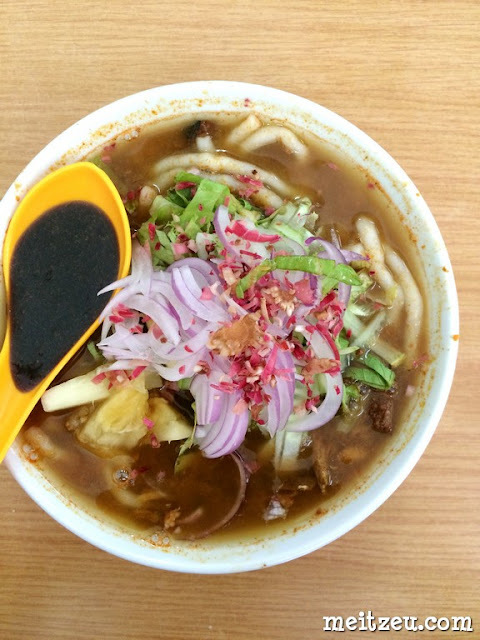 The bowl of noodles is the correct noodles for Assam Laksa! The flavour was taste like Sardin and spices! 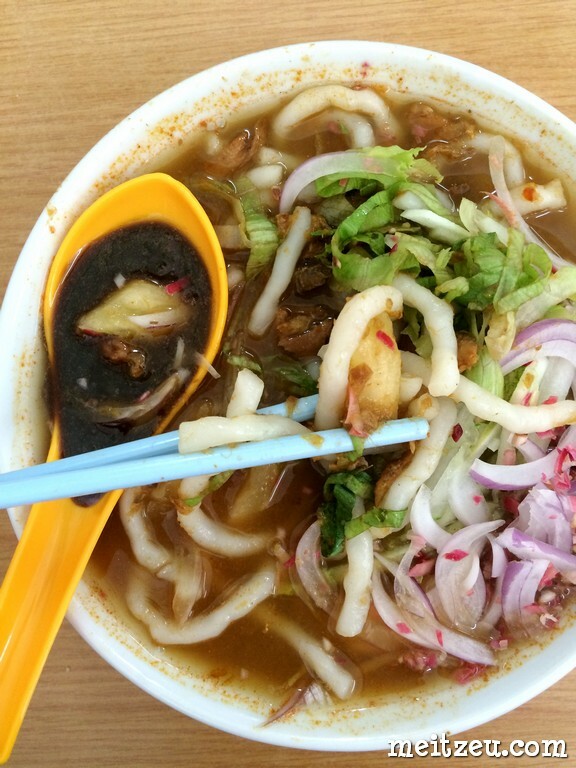 It is Penang Assam Laksa! The first phrase I have said was "IT IS SO GOOD!". Its' been so long since the last I had Zhu Chang Fen. Wow! This plate do make some credit for sure! The front row opposite Pick N Pay Groceries Store and KFC.